I did it, Friends. I broke down and pulled out my Fall decorations! 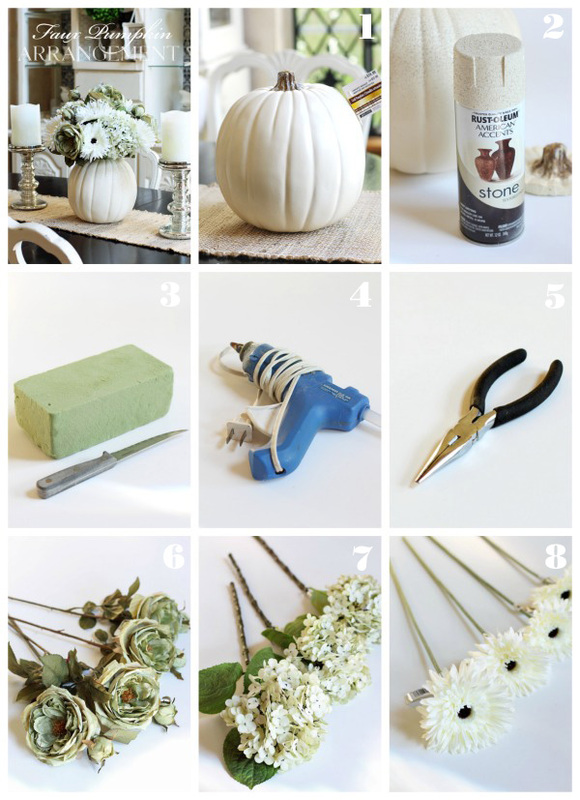 After sharing some of my past Fall Decorating Projects last week, I was ready to start decorating. 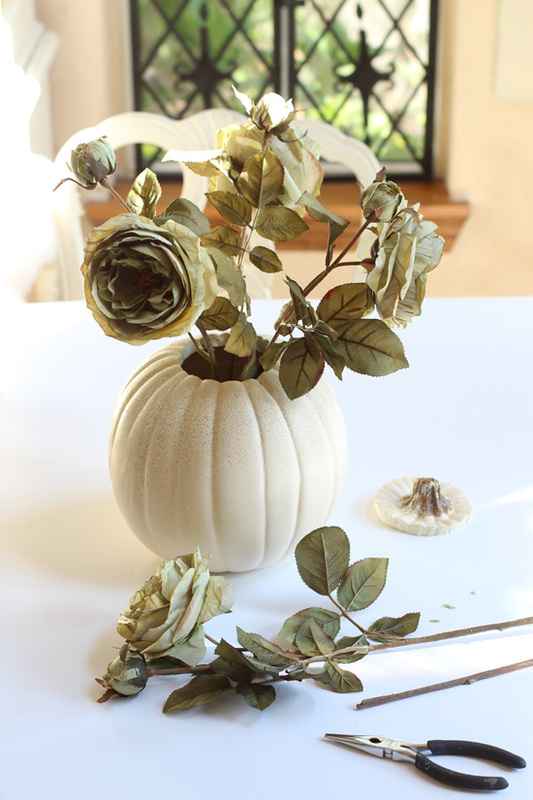 Today my Décor Enthusiast girls and I are sharing how we decorate with faux pumpkins. It’s a basic crafting pumpkin that can be carved, but after walking around with it in Michaels for an hour, I decided on another idea. 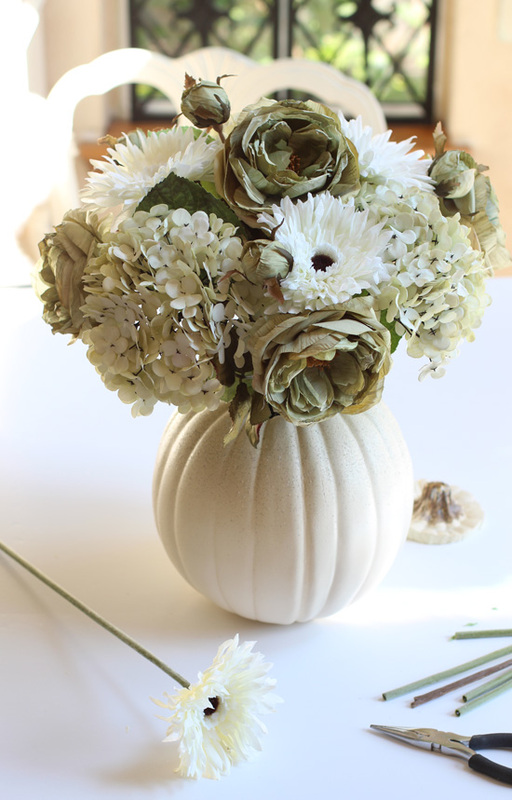 I’m not 100% sure these florals scream Fall, but they were part of the Fall Stems at Michaels so if they say so, who am I to disagree? I embraced them! I usually hunt high and low to scout out the cheapest, but nicest-looking-for-the-price florals, and make them work. These were the nicest looking, but NOT cheap! Oh but I just had to have them. 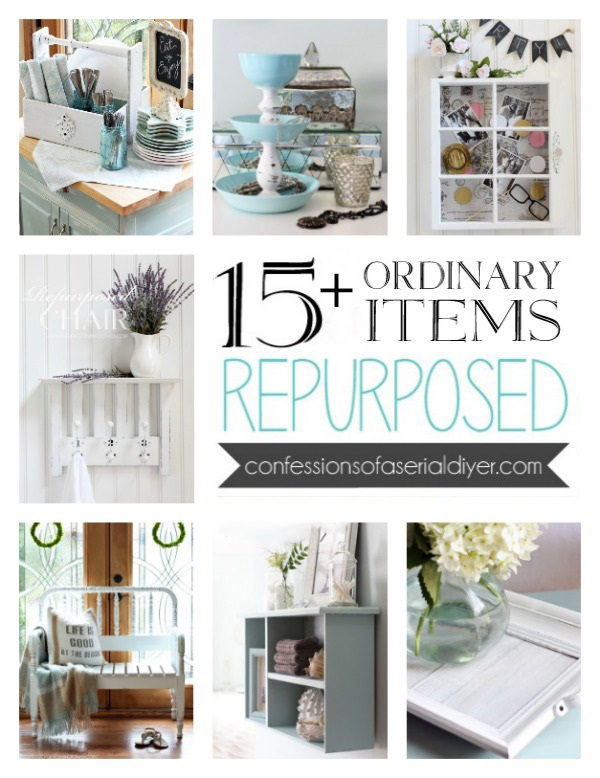 I really did try to look for cheaper alternatives, really I did. I still ended up spending almost $40 for them even with them being 40% off, and then an additional 20% thanks to a Labor Day weekend coupon. The pumpkin was $8 with all the discounts. Remember how cheap I am? I had a hard time swallowing that, BUT this arrangement will be enjoyed for years to come, right? I kept it small to help better support the stems. 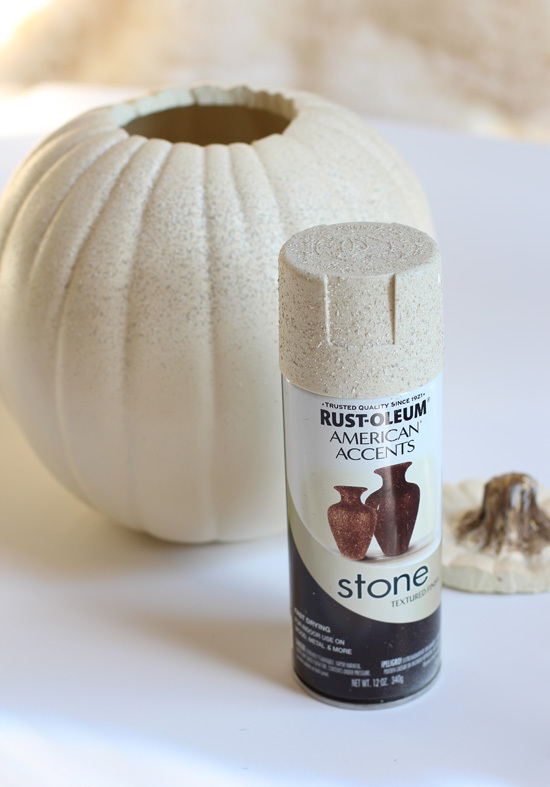 Then I took it outside and gave it some interest by adding a little Rustoleum Stone Textured Finish spray to the upper portion of the pumpkin. After the pumpkin was completely dry, I cut the floral foam into a square to fit the inside bottom and hot-glued it in place. Next I started with the shabby rose stems, my favorites! I cut about 6-8 inches* off the bottom and added three of them to the foam, spaced evenly apart. *In these photos, they are longer than the finished product. I went back and cut them down a bit more. 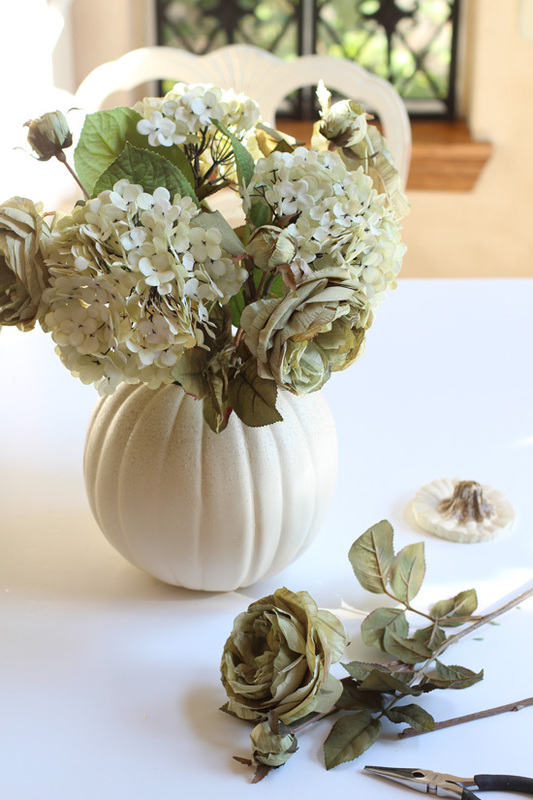 I followed with the hydrangea stems, also cutting the stems down. I added those in between each rose. The fourth rose went in the top in the middle and I left that a bit longer. Then I filled in with the white black-eyed Susans (sounds good?). I used more of those to fill in since they were the least expensive at $1.99 each before discounts. At this point is where I felt the stems seemed a bit tall still, so I went back and cut them down a bit more. 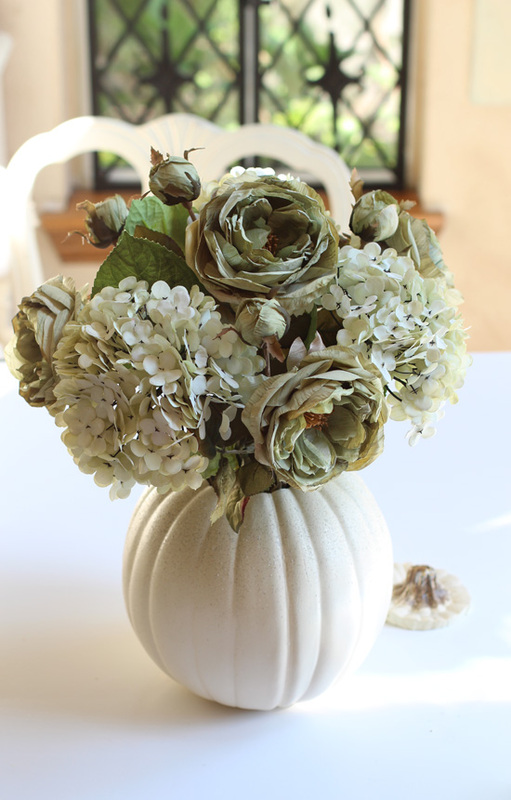 Love this combination of flowers together…and it matches my decoupaged pumpkin I did a couple of years ago! 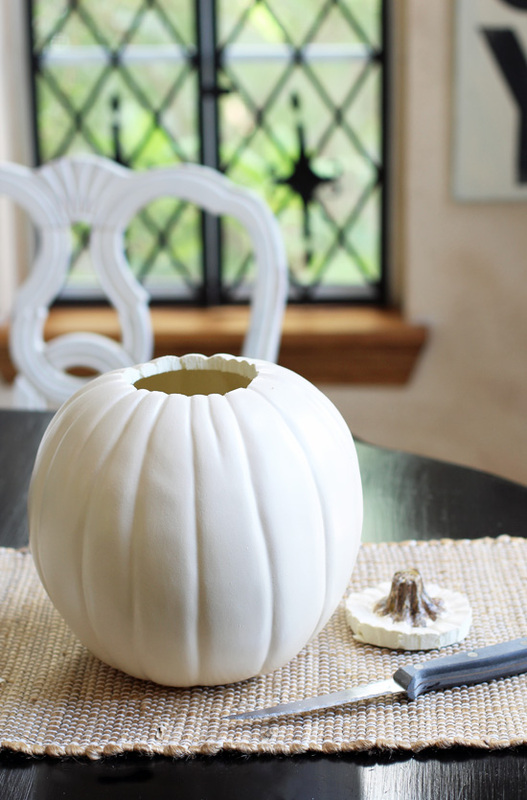 My Décor Enthusiast friends are also sharing ways to decorate using faux pumpkins today! Check them out at the links below for more Fall décor inspiration! 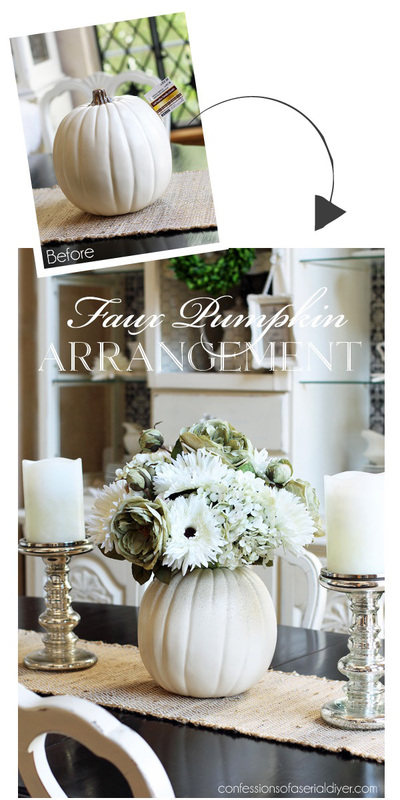 Want to share your own Fall décor using faux pumpkins? You can!! 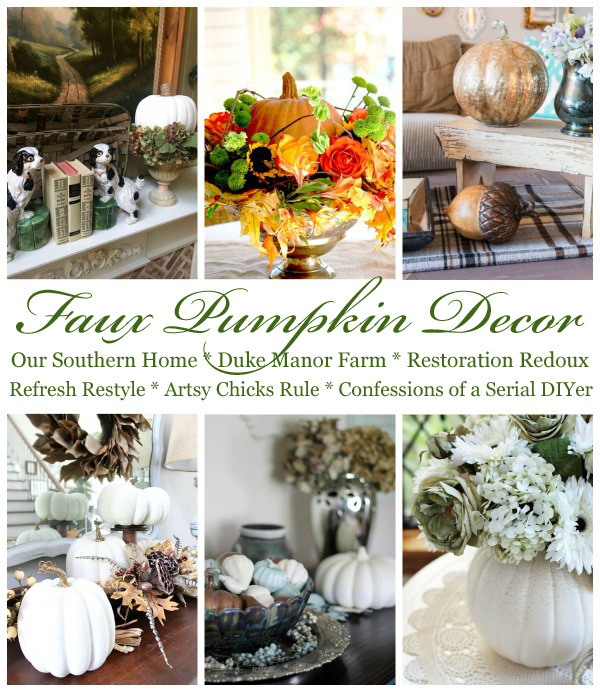 Take pics of your favorite fall vignettes and projects using faux pumpkins and share them with us on our Decorating Enthusiasts DIY Forum on Facebook! We created this forum not only so you could participate in our fun decorating challenges, but also so that you have a judge-free zone to share your projects any time, ask questions, and hang out with other creatives just like you! 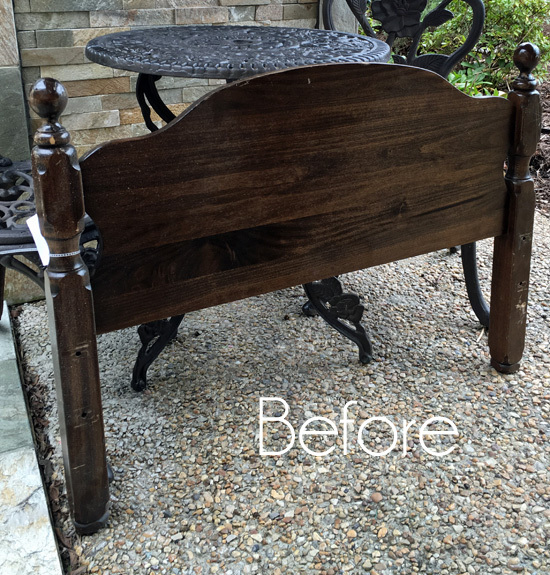 UPDATE: No need to wait…check out how I transformed this headboard HERE now! This is lovely Christy! Frugality aside, aren’t you glad you spent the $8? 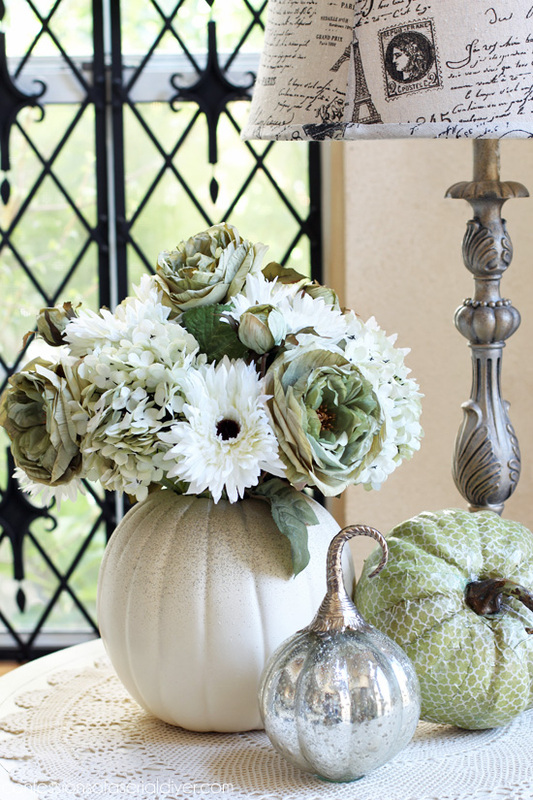 Beautiful arrangement and love the way you painted and added texture to the pumpkin. To get really good silk flowers it is so expensive even with coupons, but what are you going to do the cheapies look cheap, sometimes you can get away with the cheap ones, but in your case it paid off in spades to get the good ones, great job. Just lovely! I love the white, and really, wouldn’t this be lovely at a wedding?! Anyway, wondering if the same effect could be achieved by just strategically punching a hole and inserting a stem into the pumpkin? The foam on the inside may hold them secure enough and then you could still utilize the stem. What are your thoughts on that idea or am I all wet in my thinking? Love your posts and look forward to them. It’s so pretty! I love the addition of the stone spray paint. Michaels does have the best florals! 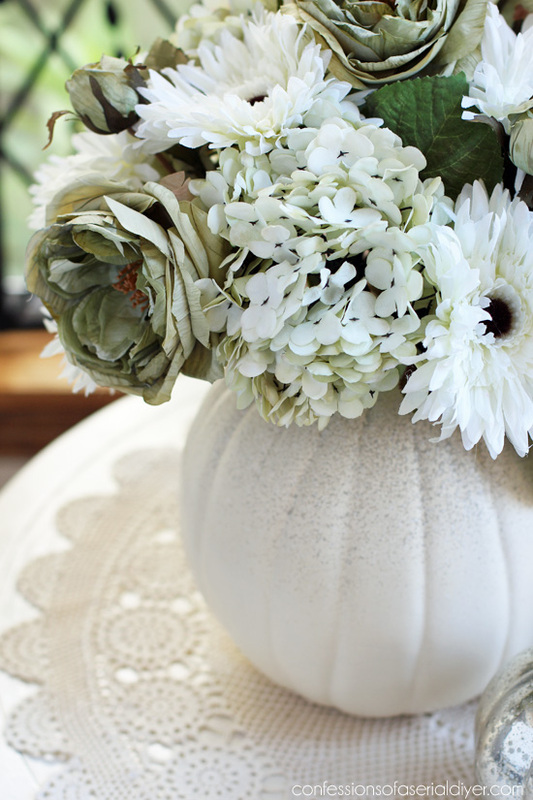 Love the white pumpkin with the white flowers- such a beautiful result with a few items. I would love to make this my autumn “COLOR”. such a pretty look with the all white. Im sure you will be enjoying your arrangement all season. What a great idea, Christy! 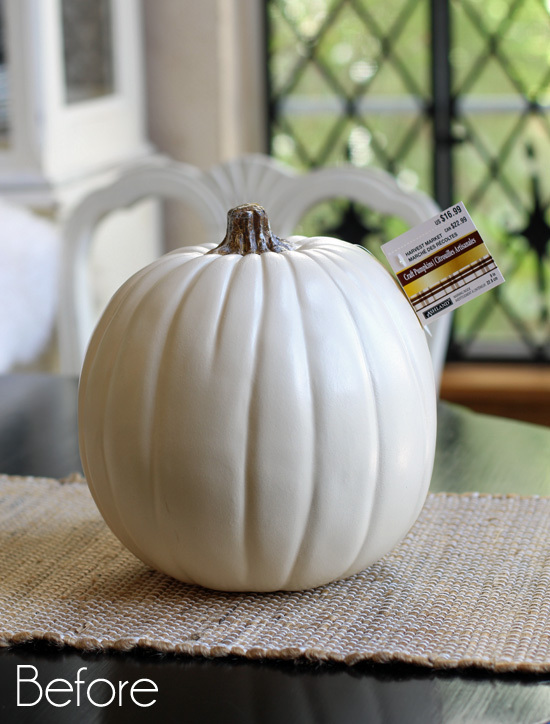 I have a small pumpkin like that left from last year and I was wondering what I should do with it. I think I’m going to do this. 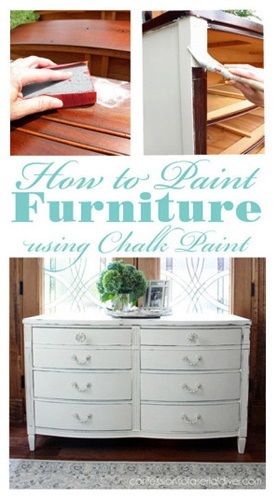 It will be perfect for my dinning room table (not a big table, so scaled down will be good). 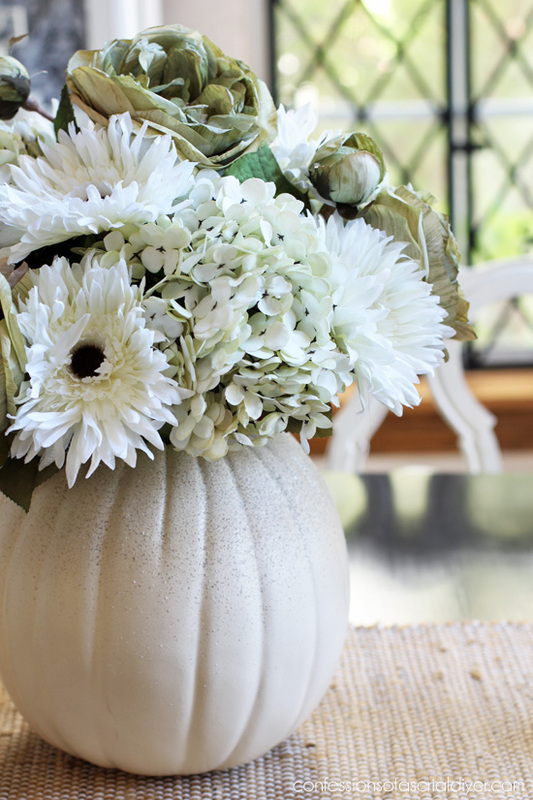 Such a beautiful pumpkin with white color, you’re creative Christy. I wish i had one in my house. I like this idea. 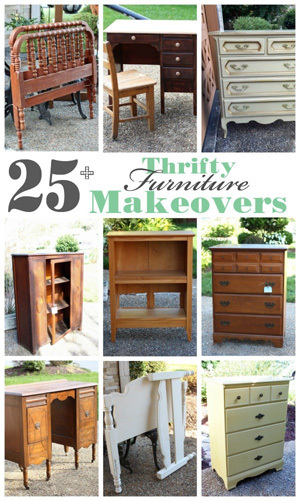 Great for fall decorating. 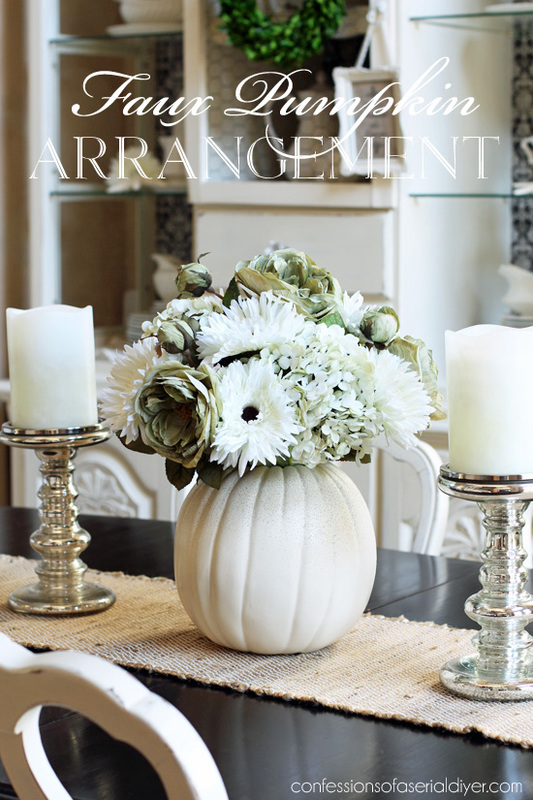 Pumpkin is a good elements to make your house become more lovely. 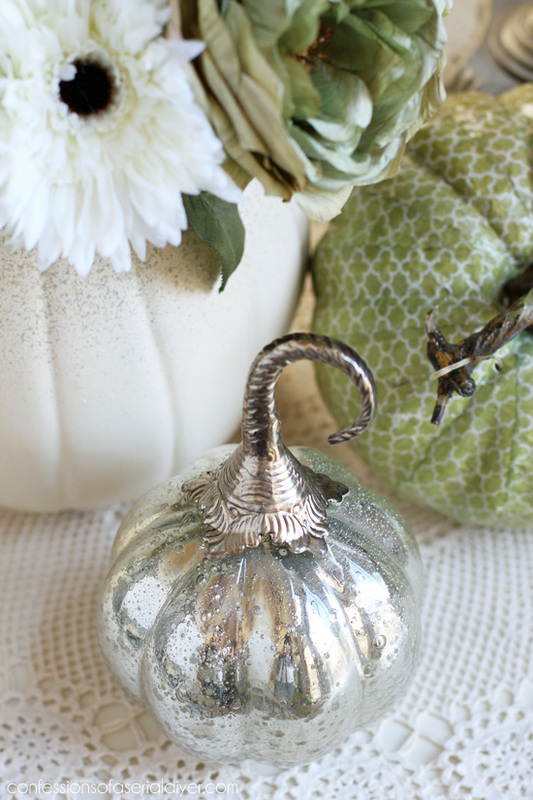 This is such a pretty way to use a faux pumpkin! 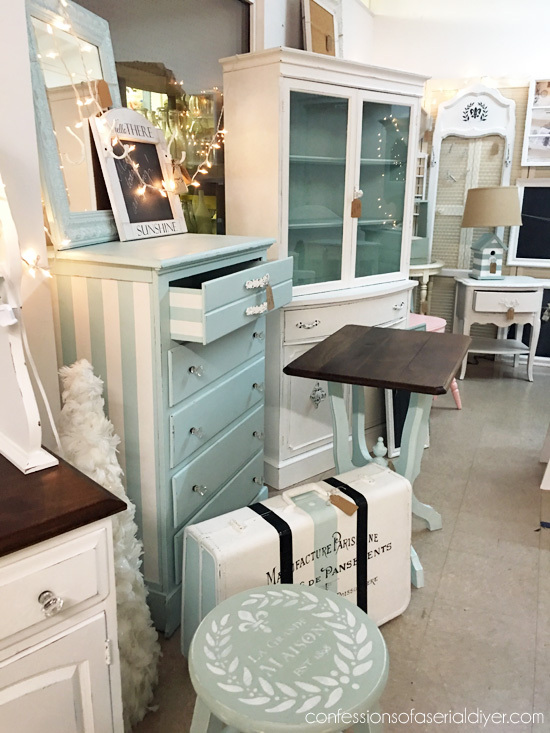 Loving the white on white, especially in your house. 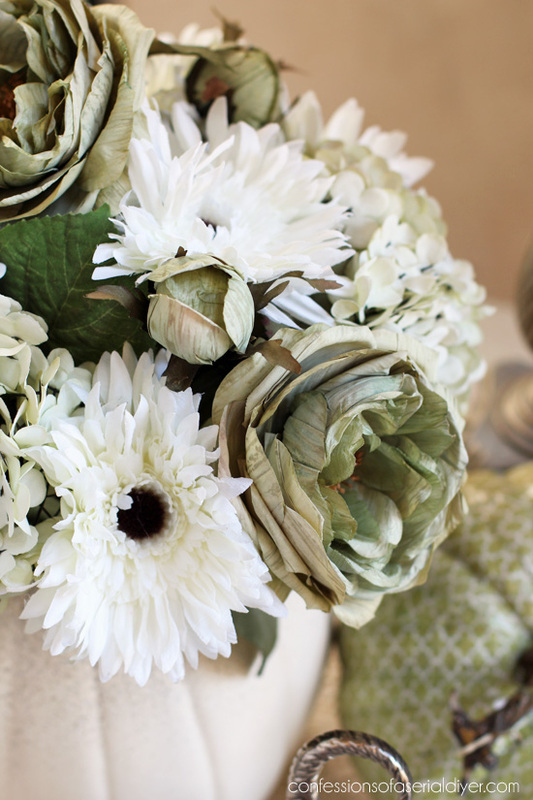 Pinned for inspiration in the near future:) And yes, faux flowers are crazy expensive aren’t they? 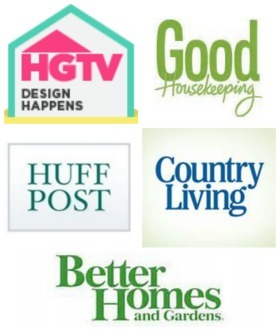 I’ve had the same experience and I hated spending the $$ for a project. 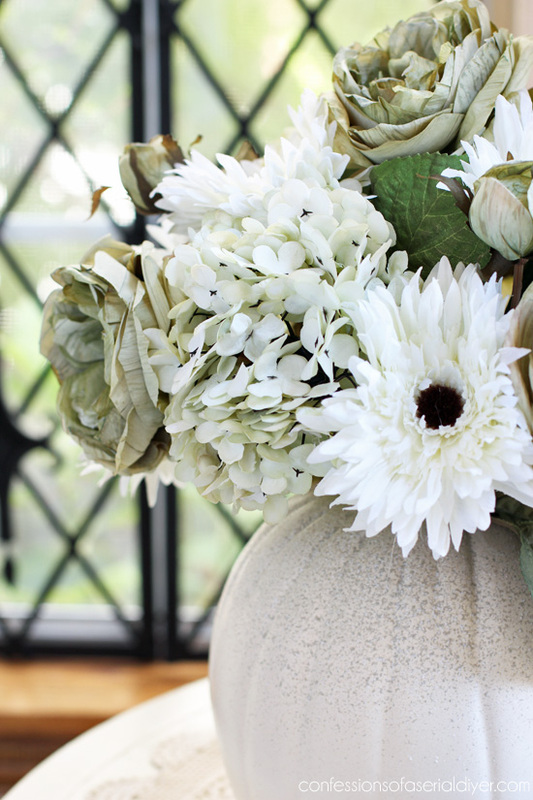 You’re right though, you’ll love this centerpiece for a long time! This reminds me of flowers used in wedding, with elegant white color. 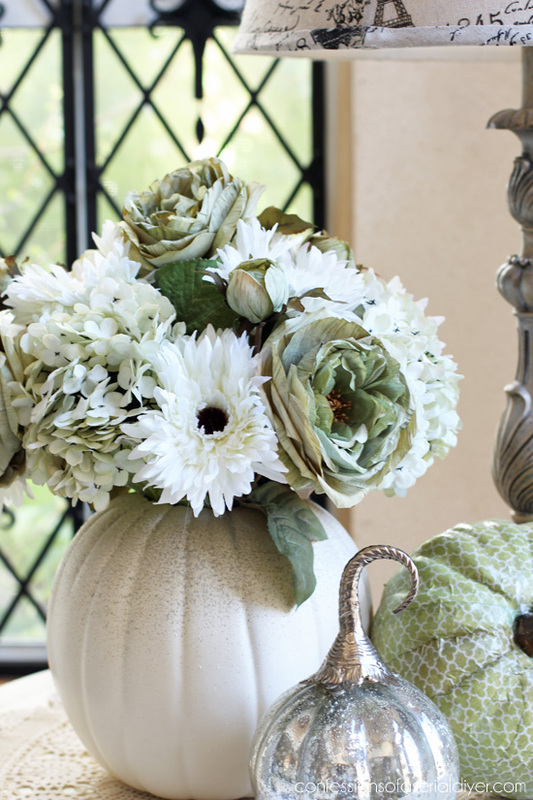 I never thought the combination of faux pumpkin and flowers would look so great. Just planning to make one for my own. Thanks for sharing, Christy.